Now in Stock! 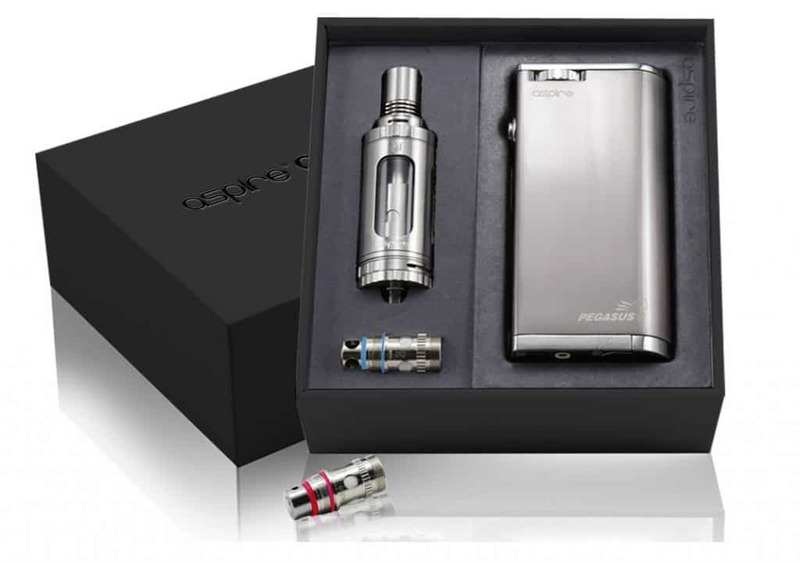 This is the Full Kit, featuring both the sub-ohm Triton Tank and the Temp-Control (TC) Pegasus Mod (70W), along with an included micro USB charging cable. With its wide range of coil options, 2-way adjustable airflow and heat fins to cool the drip tip, the top-fill Triton is one of the most flexible tanks on the market. Now perfectly paired with the new, ergonomic 70W Aspire Pegasus Mod device, which offers both Variable Wattage (1W to 70W output) and Automatic Temperature Control, the combined “Odyssey Kit” lets you fully customize your vaping experience in one complete package of elegant craftsmanship. Voltage displayed to the hundredths. Resistance displayed to the hundredths. 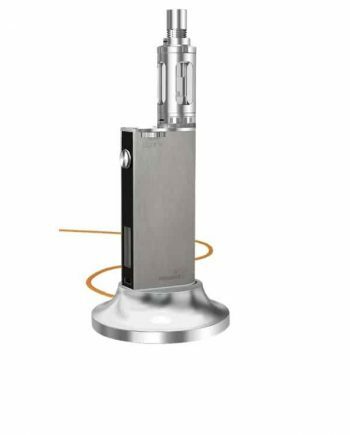 VapeVine Staff Review: “Superb build quality. Gorgeous fit and finish. Feels expensive and solid. 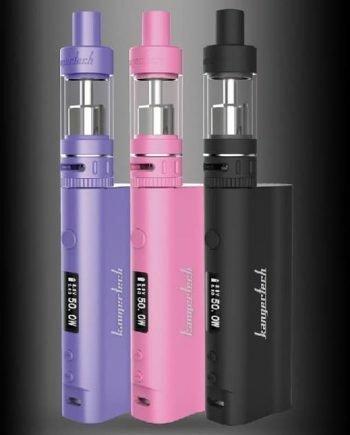 Probably the best mouth-to-lung tank on the market with the easiest to use Temp Control Mod. Highly recommended! 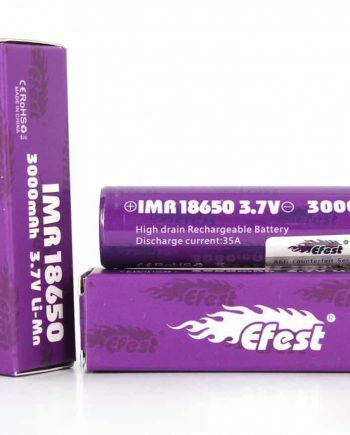 Rechargeable 18650 Battery (Sold Separately). Q: I’m looking at the Aspire Odyssey Kit… Will it charge the 18650 battery or do I have to buy a separate charger? A: Yes, it will charge the batteries via USB. Or you can Buy the Pegasus Charging Dock. You do not need to remove them. 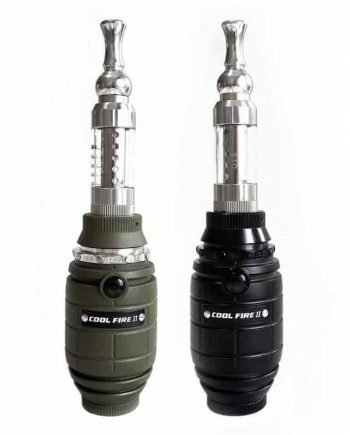 Q: Do I need special coils for the temperature control mode, or can I use the Triton coils? A: You need special Nickel (Ni200) or Titanium coils to operate in Temp Control mode. 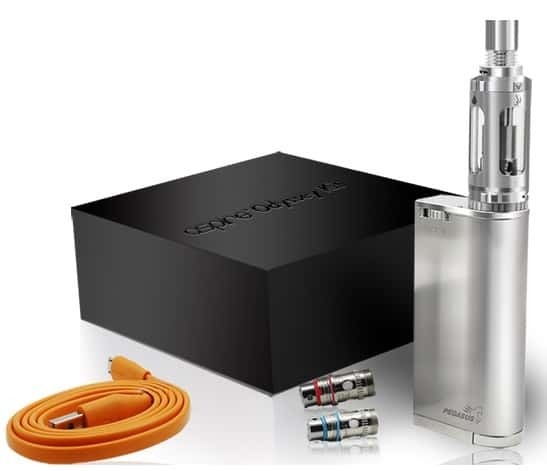 The Triton coils that come pre-installed with this Aspire Odyssey Kit are not temp control. Only the included Ni200 coil can be used in TC mode. Q: Why is my Pegasus not working in TC mode? Or why does it only work sporadically? A: Many users have reported how fickle the TC mode can be. It should even mention that in the instruction manual. 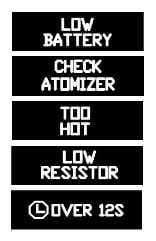 The device doesn’t always recognize certain nickel coils and it doesn’t always fire in TC mode. It is moody. We think this relates to the fact that the TC feature was a late-production addition. Aspire was so eager to bring a TC device to the market that they may not have gotten all the kinks out. Don’t get us wrong, we love almost everything about the Pegasus, but it seems we just gotta live with the fact that the TC sometimes works and recognizes coils, and sometimes doesn’t. STAFF TIP: Make sure you prime your coil, and fire the battery starting at a low temperature before gradually transitioning to your preferred temperature. 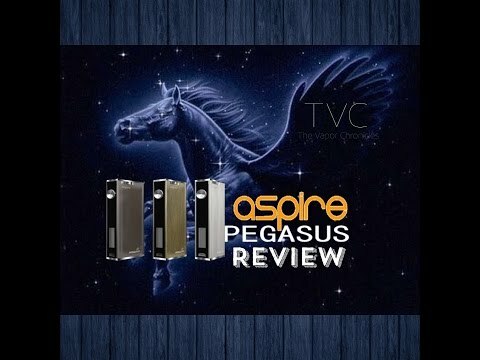 Q: Does the Pegasus have adjustable wattage in TC mode? A: No, in TC mode, you can only set your Temperature, the rest is automatically controlled. 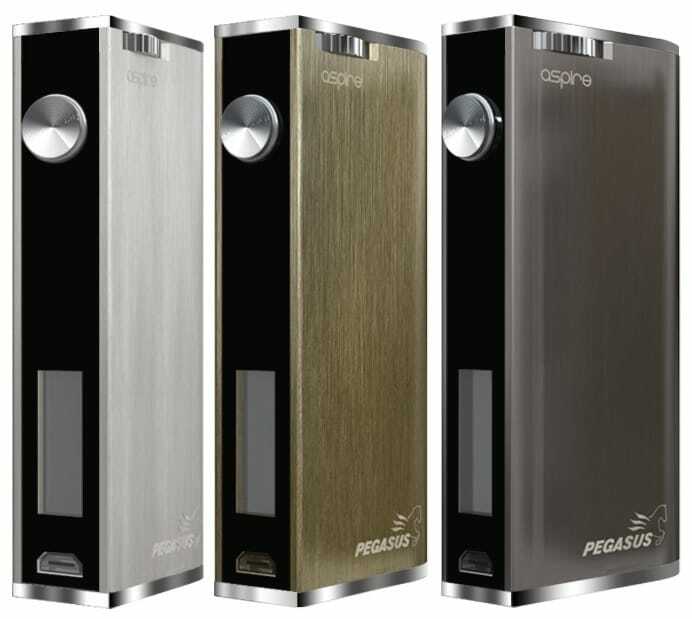 Q: The specs of Pegasus says that it fires down to 0.20 ohm, but the Triton Ni200 coils are rated at 0.15 ohm? A: Yes, we know. It makes no sense. 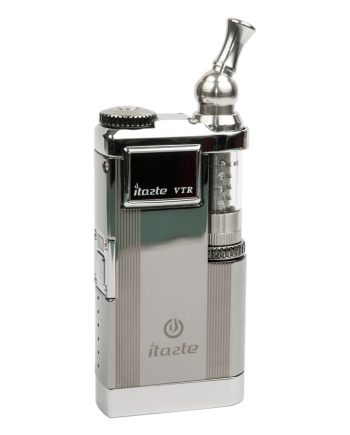 But users have reported that the Pegasus does indeed fire the included Ni200 0.15 ohm Triton coils. This is the current “It” Mod. I love, love, love this device. 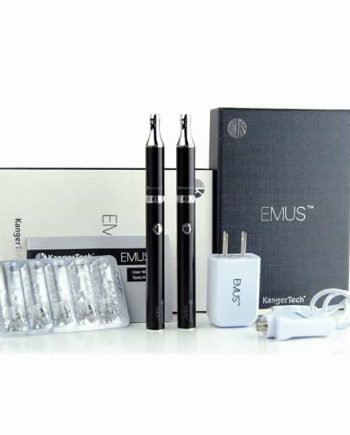 Gives you everything you want for a very affordable price. Dare I say, this mod is actually probably too cheap for all the benefits it offers you. Could be the only mod you’ll ever need.